​Hailed as “a great artistic talent” by the ABI Foundation, pianist Michael Angelucci enjoys growing acclaim as an artist with a unique and gifted voice. His compelling craft has won national and international accolades including First Prize in the Bradshaw and Buono International Piano Competition, First Prize in the American Prize National Competition, and the coveted Foundation La Gesse Fellowship, among others. For Michael, however, the greatest reward lies in forging lasting relationships with audiences through the effusive joy of musical expression. This professional mission has brought Michael to exciting and eclectic venues worldwide such as Carnegie-Weill Hall (New York, NY); Bemberg Museum (Toulouse, France); Artown Music Festival (Reno, NV); Northrop Auditorium (Minneapolis, MN); Baltimore Theatre Project (Baltimore, MD); Mission Santa Clara de Asis (Santa Clara, CA); and the historic Auditorium de la Salle du Dome (Carcassonne, France). Highlights of the 2017-2018 season include numerous appearances on the Baltimore-Washington circuit, where Michael is an increasingly popular recitalist, and a two-week tour as soloist with the TOCCATA-Tahoe Symphony Orchestra. A champion of the interactive concert experience, Michael often incorporates live, unscripted program notes into his recitals, adding a personalized touch widely appreciated by patrons and presenters alike. Alongside his performance résumé, Michael devotes considerable energy to his other great passion: working with college and pre-college aged musicians. 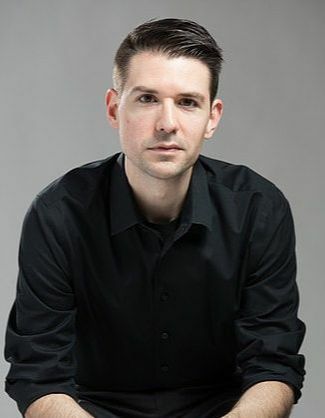 Currently on faculty at the International School of Music in Washington, D.C, Michael previously taught undergraduate music majors at the Peabody Conservatory and the University of Maryland School of Music, where he was named a Distinguished Teaching Assistant by the University’s Center for Teaching Excellence. A prolific clinician, Dr. Angelucci maintains an expanding schedule of master classes, adjudications, and teaching engagements throughout the mid-Atlantic region. Michael holds the Bachelor of Music and Master of Music degrees in piano from the Peabody Conservatory. He earned the Doctor of Musical Arts degree in piano from the University of Maryland, graduating Phi Kappa Phi with special recognition for his performance dissertation entitled, “Unity Through Variety: Exploring the Cyclic Principle in Selected Works for Piano.” His pianistic background is shaped by an impressive legacy of artist-teachers including Bradford Gowen, Benjamin Pasternack, Brian Ganz, Leon Fleisher, Ann Schein, Robert MacDonald, John Perry, Hans Boepple, and Dr. Paul Wirth.